The Hankook Tire company may have a funny-sounding name, but it is the seventh largest tire manufacturer in the world. It was founded in 1941 and opened its first North American office in 1981. Hankook features a full line-up of passenger car and light truck/SUV tires. In recent years Hankook tires have even become some of the most popular (and affordable) tires for sanctioned racing and amateur motorsports (Autocross, HPDE and road racing). 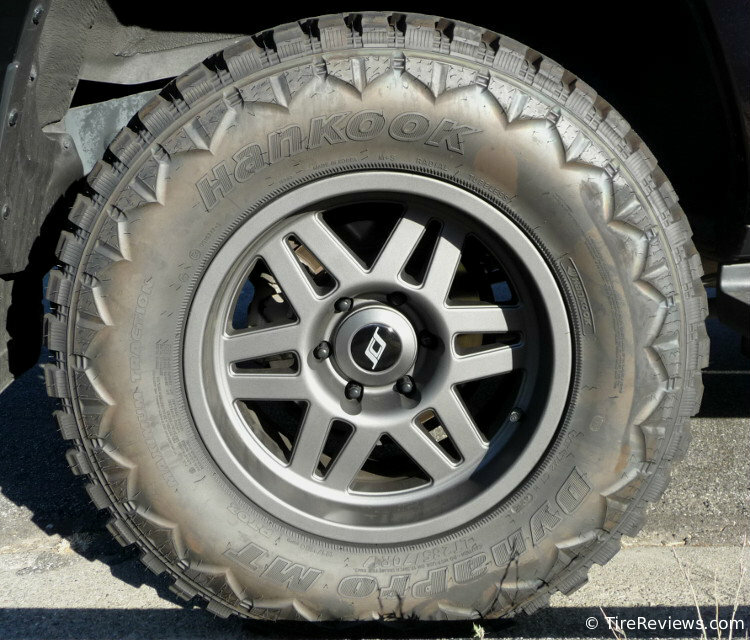 Pictured below is the Hankook Dynapro MT tire on a Toyota 4Runner. 4.15 out of 5 based on 9 user ratings as of 9/26/16.